The defense of bachelor thesis was held last week. 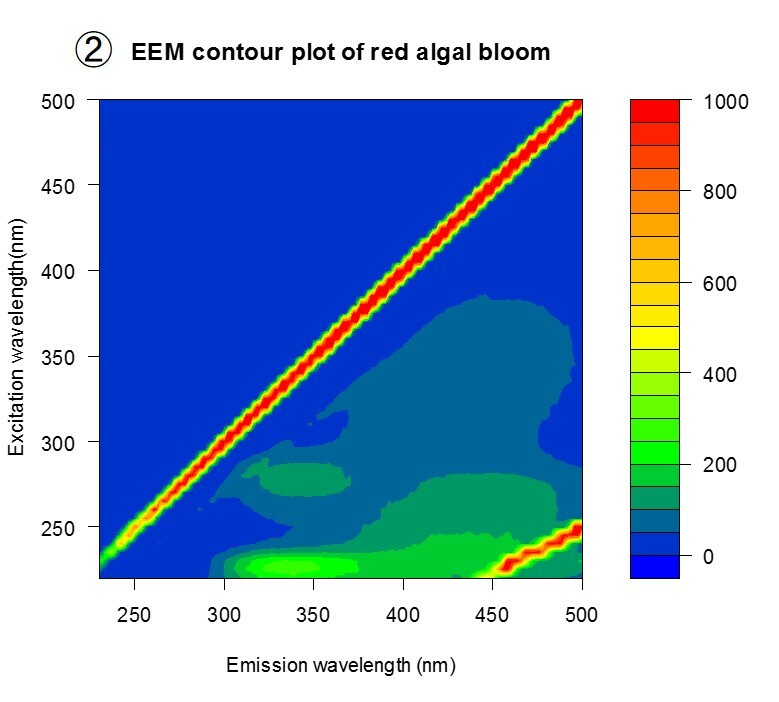 Red algal bloom was found in our aquarium in which estuarine amphipods are maintained. Red algal bloom was found especially alongside the wall. Brown color is sediment. River sediment has been provided becuase the amphipods are benthic species. 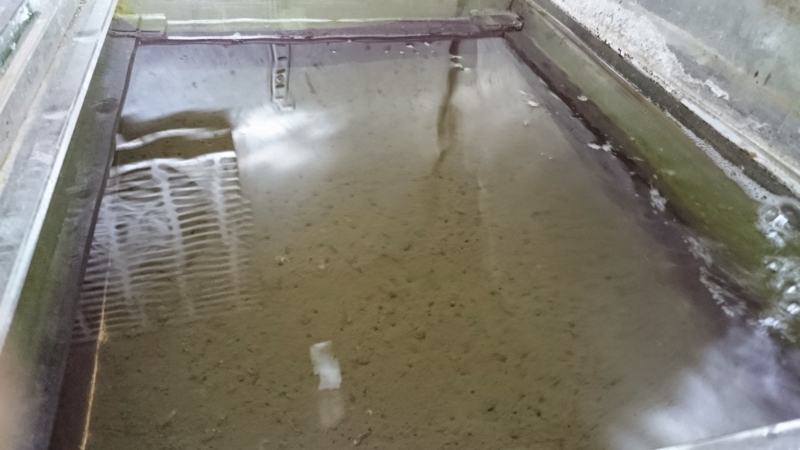 Sediment and amphipods were took from the aquarium in order to start exposure test. This bloom was happened just after sediment was returned back to the aquarium. Red algal bloom disappeared within few hours, and then green algal bloom occured. 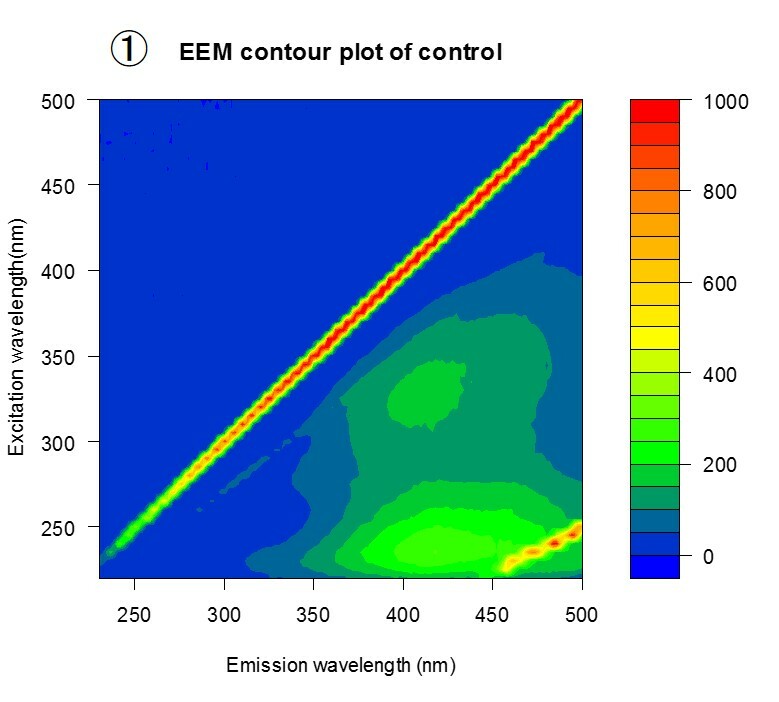 Three dimentional Excitation-Emission Matrix (EEM) was obtained to evaluate characteristics of red algal bloom. I compared the following three samples: i) brine water in another aquarium (control) ; ii) red algal solution; iii) green algal solution. 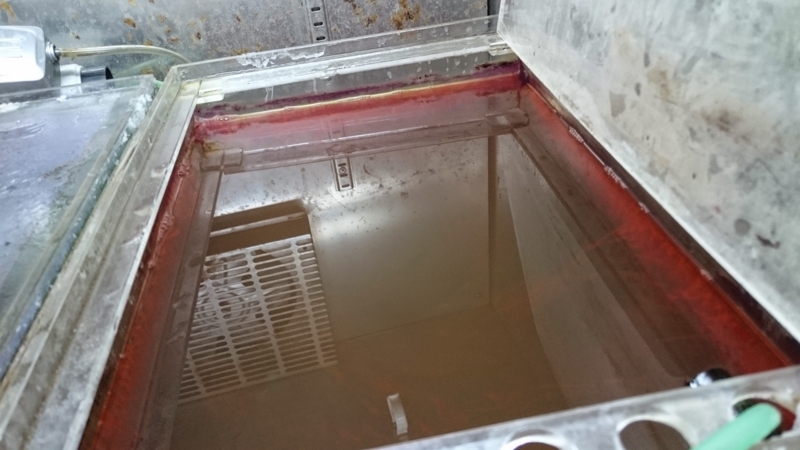 All samples were analyzed after centrifugation. Two peaks were found in the only red algal solution. These peaks are reported to be derived from protein-like compounds (Coble, 1996, Mar. Chem. ).